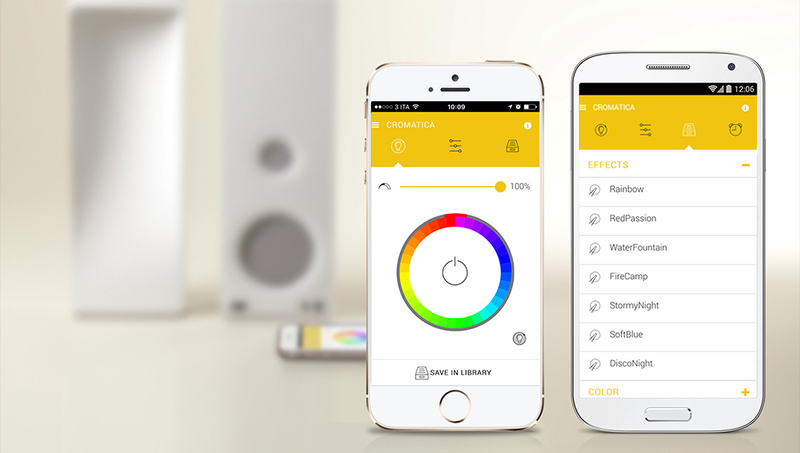 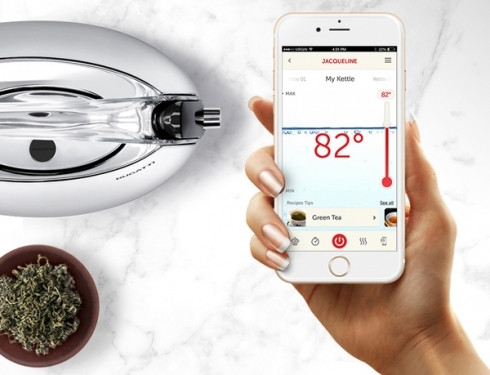 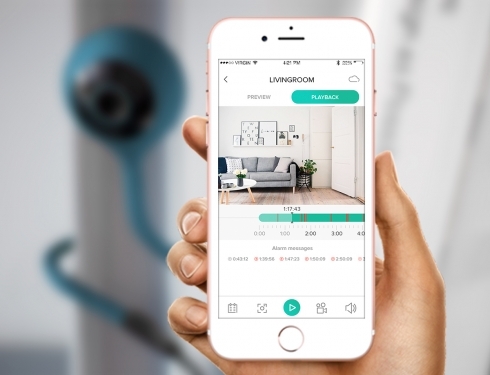 CROMATICA App is designed to enhance the consumer experience of use creating a relation between Cromatica, lamp and speaker, and the personal needs and behaviuors. 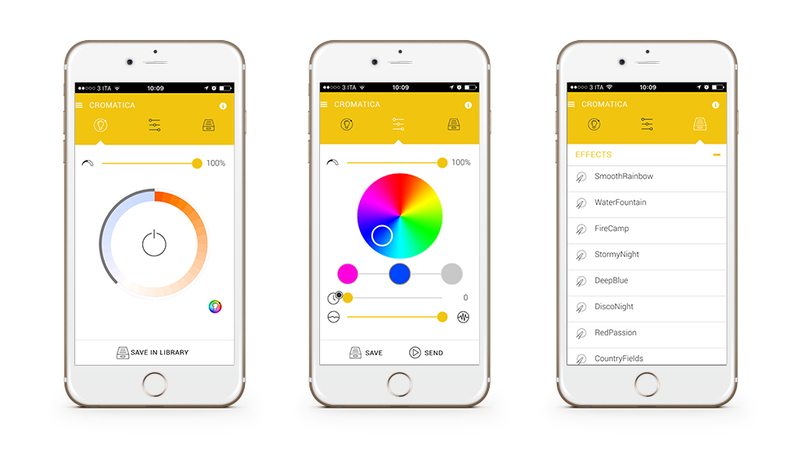 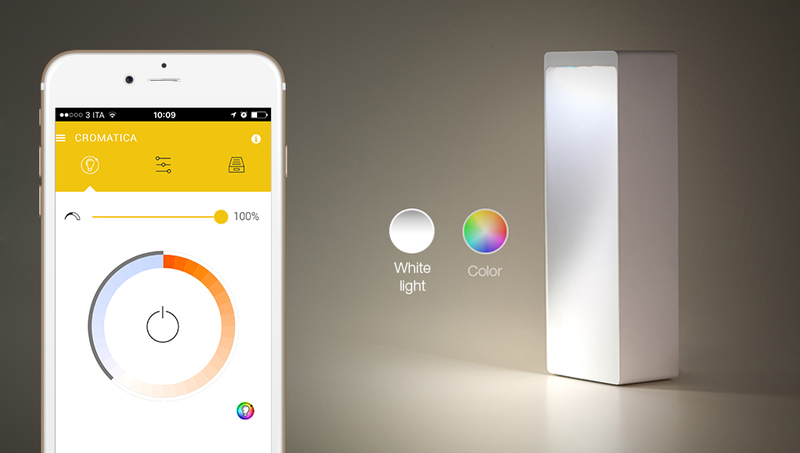 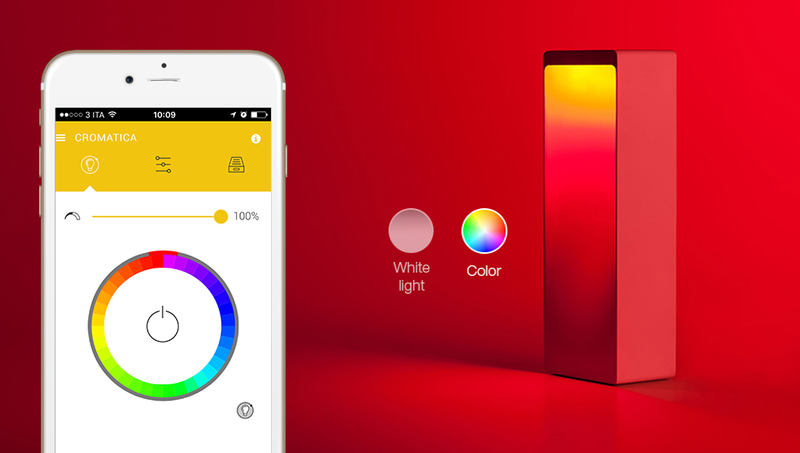 Cromatica App gives the possibility to create an infinite number of light combinations managing the white and color dimmed lighting systems. 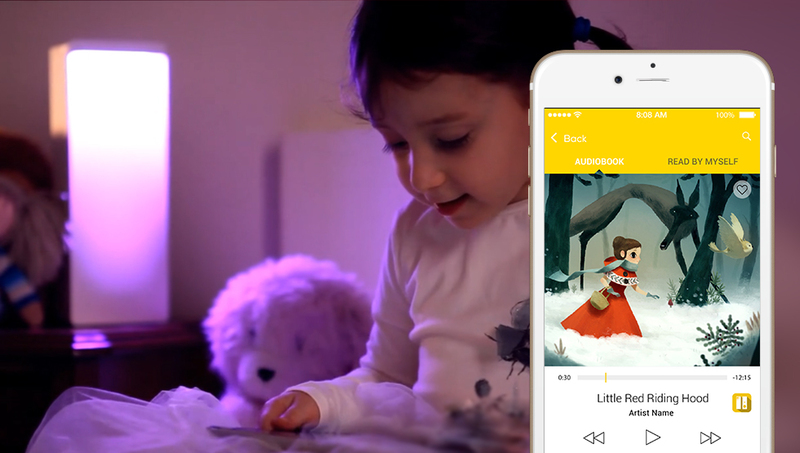 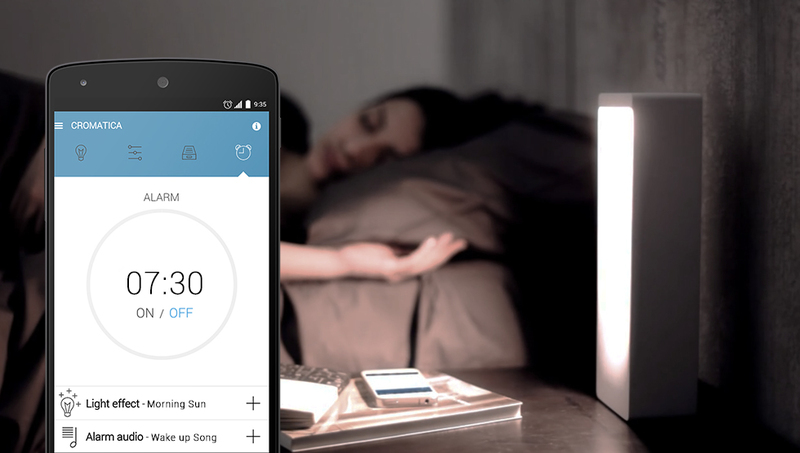 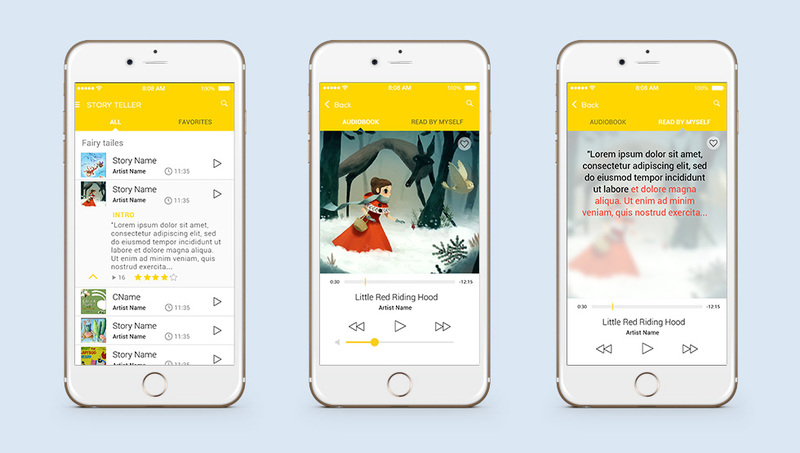 It’s also possible to set the alarm, play music and tell a story.